To the north of Oxford, there is a complicated and congested set of junctions where roads from several directions meet the ring road. The City Council has identified some of the land in this area as suitable for development, but this would be likely to make the situation worse. The queues coming from the west (the A40) in the morning are particularly notorious. The A40 brings traffic from Witney, which has seen large-scale housing growth, but has limited public transport (principally buses which get stuck in the traffic). 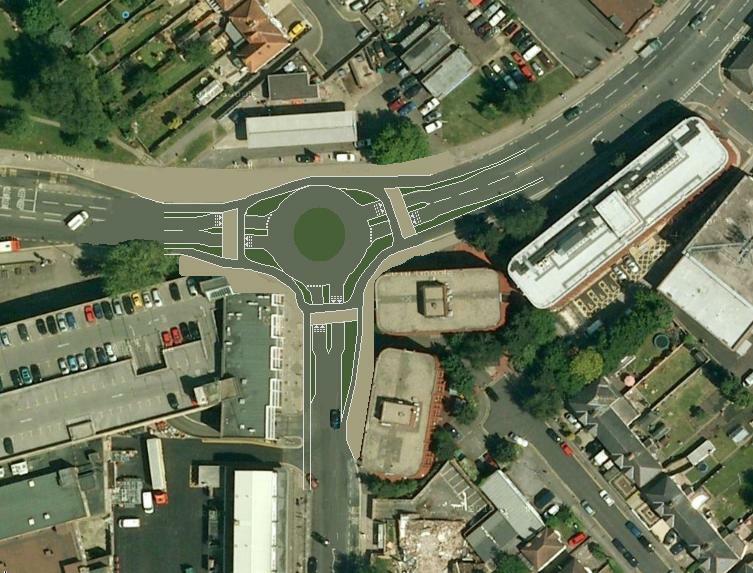 The conventional approach would be to make all the junctions bigger, with traffic lights controlling entry to the roundabouts. The lights would also allow for multi-stage pedestrian/cycle crossings. While these junction schemes tend to improve traffic flow in the short term, they don’t solve any of the underlying problems. They give no advantage to public transport, and the crossings are too slow to promote cycling. So, if anything, they tend to encourage more traffic. Instead, we should use these opportunities to think laterally. How can we organise the traffic so that public transport has an advantage? 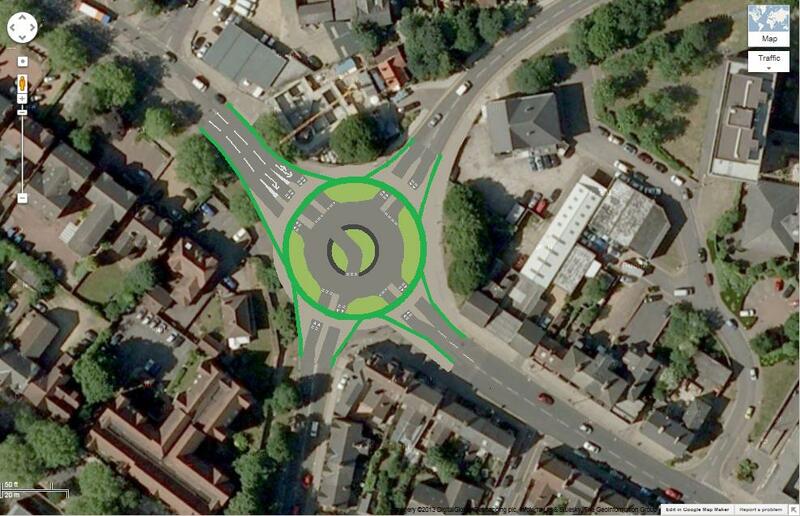 Can we simplify junctions to make them more cycle-friendly? Can the traffic be concentrated so that it feeds a Park & Ride service? Can we create space for liveable housing developments that aren’t cut off by major roads? My suggestion would be to divert the A40 to Peartree roundabout, with the existing road kept for buses only. This gives a significant advantage to public transport. For people coming from places that aren’t directly served by public transport, the Peartree route will give them easier access to the Park & Ride. In due course, I’d also like to see a railway station at Peartree. 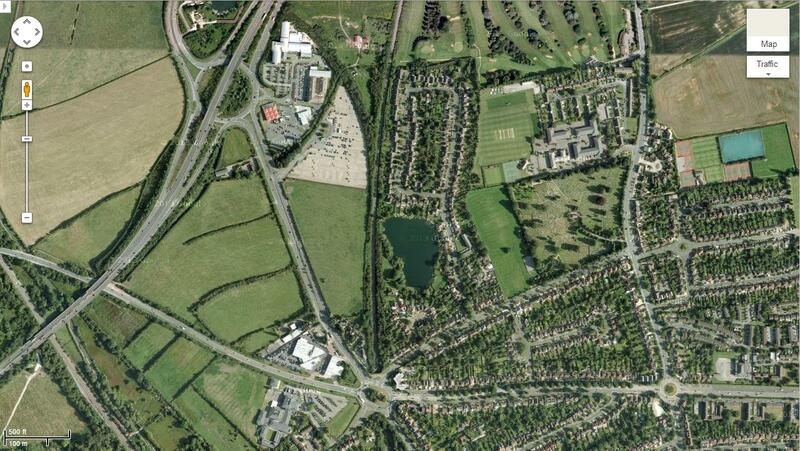 Diverting the A40 to Peartree would allow Wolvercote roundabout to be simplified. There would only be one main flow (from Peartree to the northern bypass), so this could have lanes through the middle of the roundabout, with the rest of the roundabout made slow. This would allow the land beyond the roundabout to be properly integrated with the rest of Oxford, making it much more suitable for housing development. 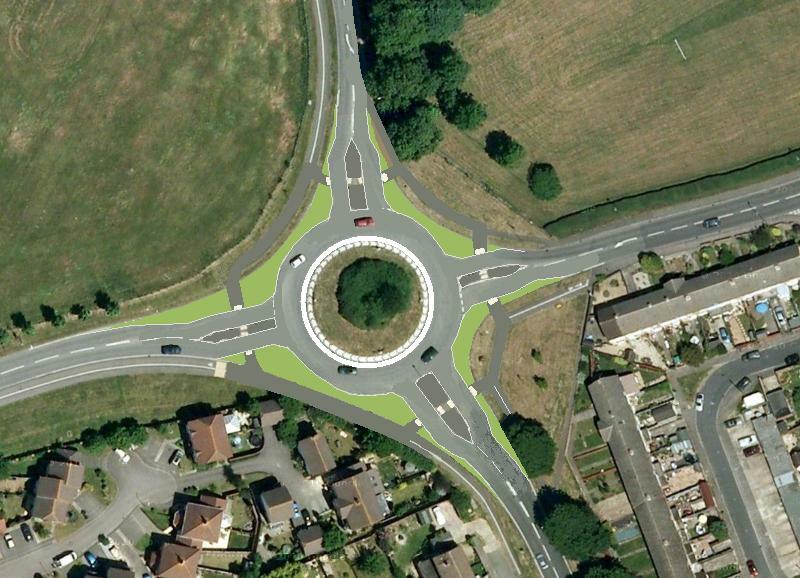 With all turning movements catered for at Wolvercote roundabout, the simplest solution at Cutteslowe roundabout – a much more confined site – would be to make it a crossroads with all turning moves banned. This will reconnect Cutteslowe (and Kidlington) to Oxford. Given the car-based lifestyles of much of the population outside the city, it’s probably inevitable that there are large roads on the edge of the city. But the traffic can be organised so that it does not form an impenetrable barrier, and does not get in the way of good public transport into the city. Original imagery from Google Maps. Dutch roundabouts with peripheral priority cycle tracks can only handle 25,000 motor-vehicles per day (and 1500/hour conflicts at any crossing). 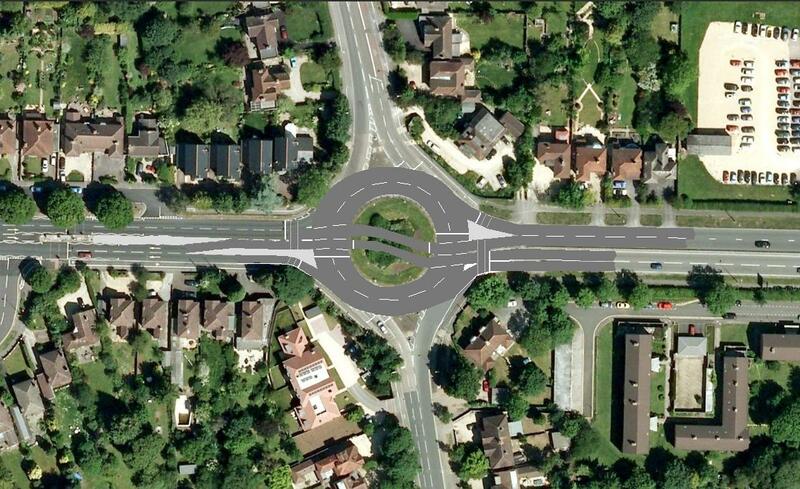 In situations where there is room for a Dutch roundabout, there may very well be too much traffic. 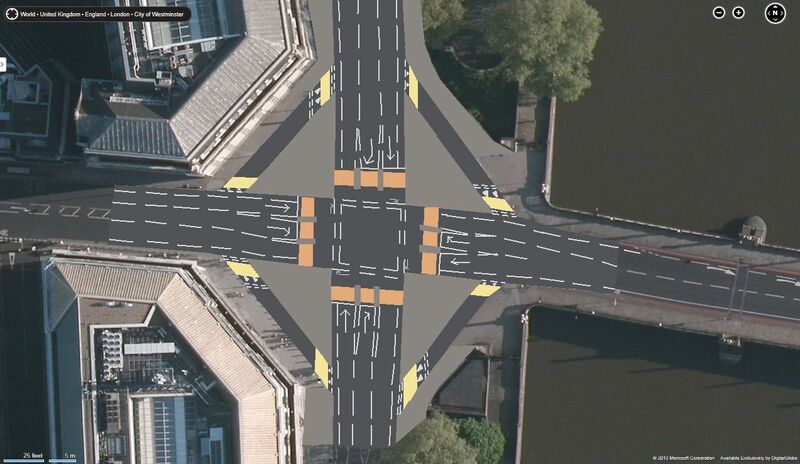 The roundabout on the north side of the river at Lambeth Bridge carries about 50,000 motor-vehicles per day. At that volume, it is arguably better to revert to using traffic lights. 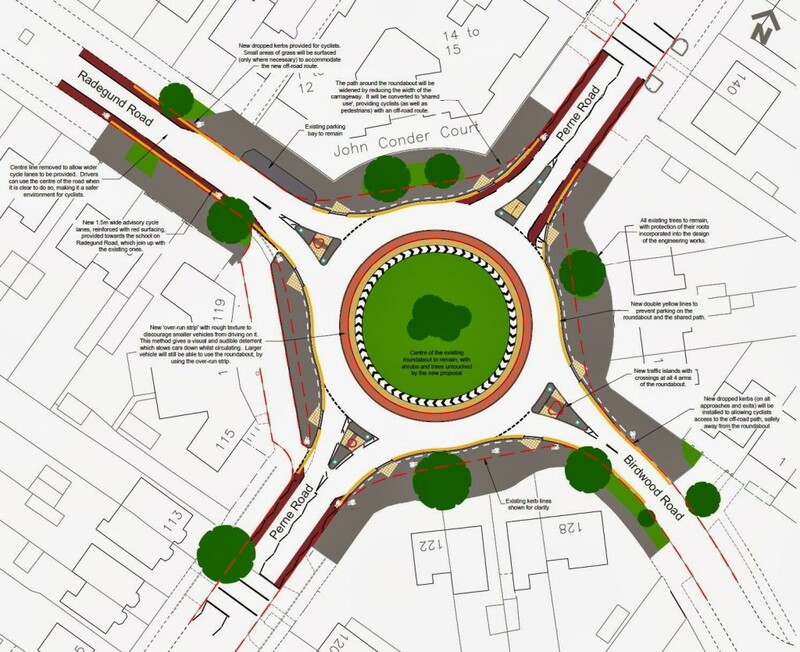 This is a sketch design of a cycle-friendly controlled junction at Lambeth. I’ve used the space to provide left-turn filter lanes. These filter lanes have humps and raised crossings at both ends to keep speed down, but are otherwise uncontrolled. Cycle lanes are marked across the entry and exit to explicitly remind left-turners to check for cyclists. This eliminates some, but not all of the left-turn risk. 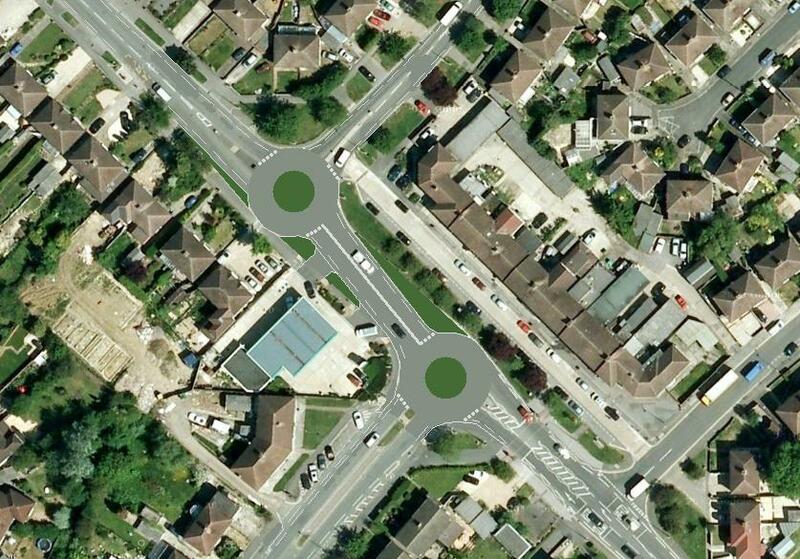 The space in the middle of the junction is used to provide right-turn lanes on all four approaches. Small right-turn pockets are provided to allow bikes to make right turns in two stages. Pedestrian islands are provided between each lane, to allow pedestrians to cross in stages on red, if they wish to. The best arrangement is probably to run each of the four entries in turn, rotating clockwise. This allows timings to adjust to cope with peak flows, but also simplifies the signals (allowing far-side secondary signals) and allows the right-turn pockets to get green straight away. The original aerial imagery is from Bing.